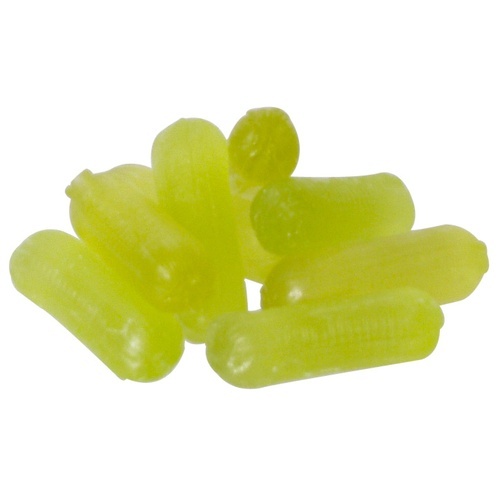 Hop Candy - 4 oz. If you're a hop head you are going to love hop candy. Made from hop oil and sugar these surprisingly taste really, really good. Also fun to let brewers and non-brewers alike experience exactly what hops by themself taste like. Hops is an interesting taste for some. It's quite interesting. Can't say it's great but since I love hops I won't say it's bad. A fun treat to try. These taste great, even if you're not a hop head. My wife even loves them. I like to keep them around, even if just for the novelty of it. Super hoppy, taste stays in your mouth for some time. very interesting, tasty tho I have ser this being a love it or hate it. Tasty, but they are candy. These definitely are hoppy, but they are candy, and as such are a bit sweet. I agree with Bradd B that the bitterness is not balanced with the sugar. I found these little buggers at a local home brew shop and I must say, what a great idea! Great treat to give out at brew parties too! I took these to work and the results are 3 like 2 dislike. It is odd that one of the dislikes is a big IPA fan. Personally Love it. If you don't leave them be it's more for me. Thanks. Not as awesome as I hoped. You can definitely tell these candies are made from hop oil, but It did not taste like I imagined. The hop aroma was there, but it was a different kind of bitter that was kinda bad, and the sugar could not balance it out. I think you mean "not as awesome as you hopped."